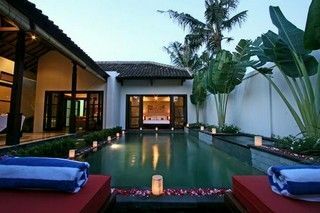 Stunning brand new renovated two bedroom villa set in large, lush tropical gardens with mature trees, above the rice fields of Penestanan. Fully walled for privacy and security. 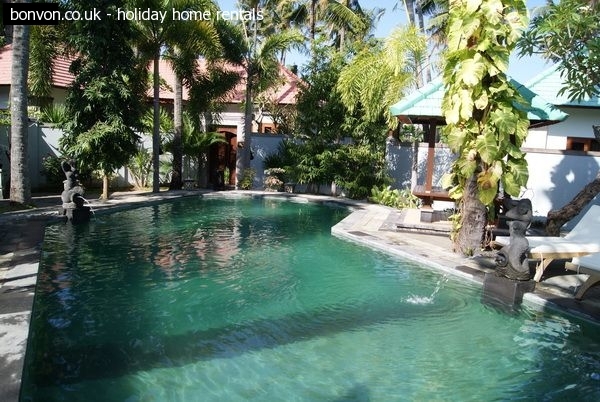 Built with love (as the owners' second home) and furnished throughout with exquisite teak pieces this villa is a magical oasis for a relaxing and rejuvenating holiday. Laze on cushions in the thatched gazebo, swim in the sparkling pool, read a book on the terrace or siesta peacefully on the daybed in the open living area - the villa is yours to enjoy in complete seclusion.